When we think about the Caribbean first thing that comes to mind is beautiful scenic crystal clear mile long white sand beaches. We imagine ourselves sun tanning or enjoying one of our favorite book while we sip on a good ‘cold one’, whether it be rum punch or coconut water. 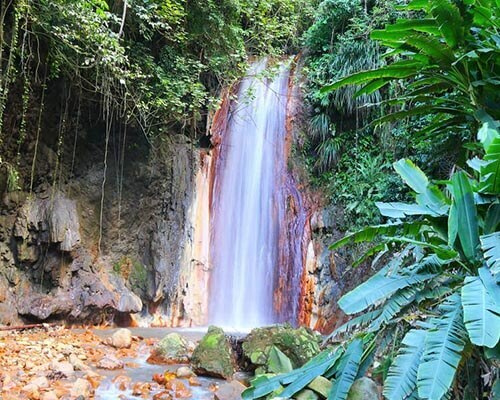 Saint Lucia has two water bodies surrounding the island. The Atlantic or windward side is located on the eastern side while the Caribbean Sea is located on the western side. Whether you choose to visit the beach for water sports, sun bathing or just a cool dip, sometimes all the doctor orders is to escape reality and get some much needed Vitamin Sea. 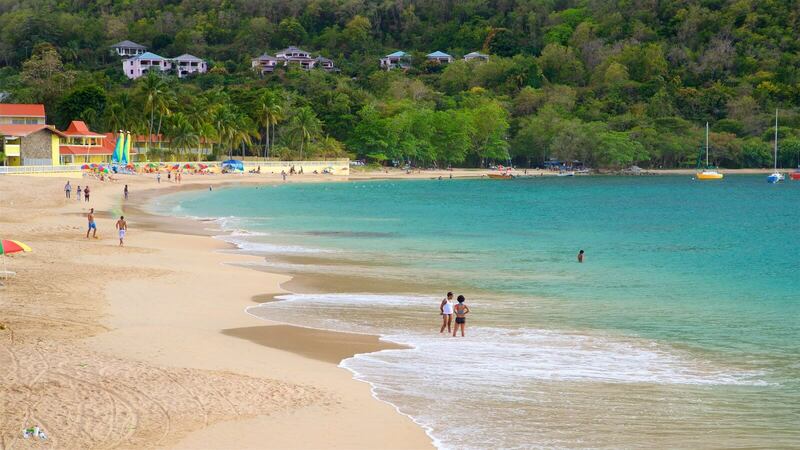 One of the most popular beaches in the north. 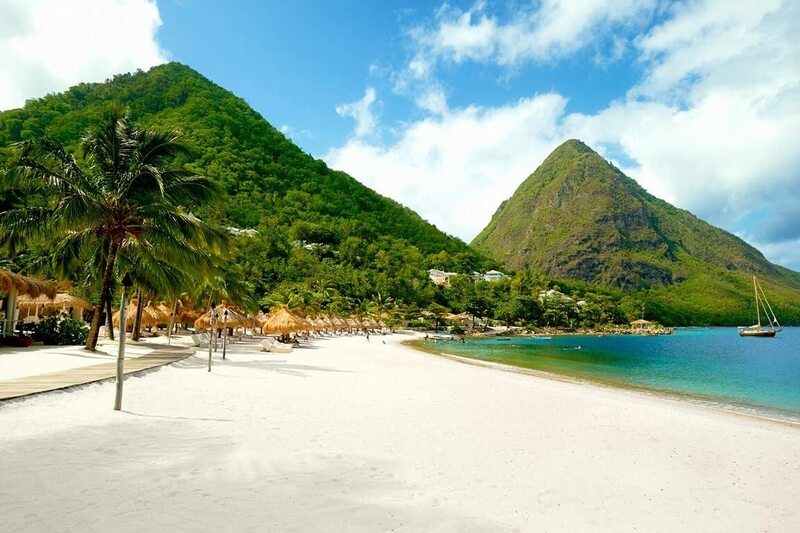 Located just walking distance from Rodney Bay Village, Reduit beach is ideal for swimming, sun bathing or beach parties. 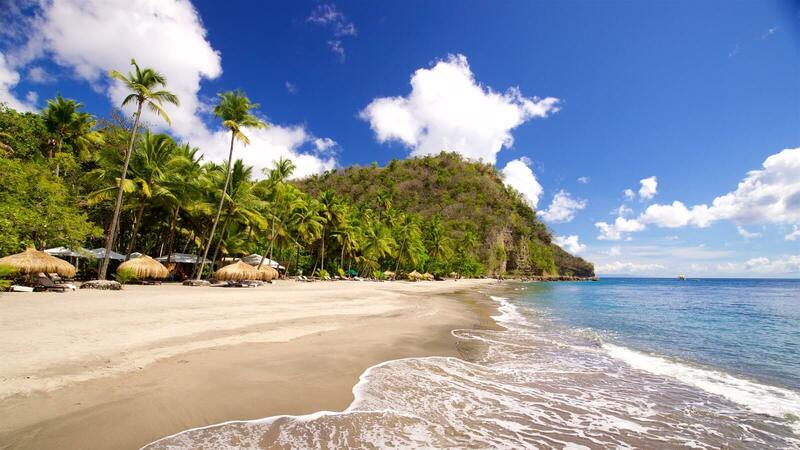 A few hotels are able to boast this beach as their backyard. In addition, Bay Garden’s water park offers family fun for everyone at a fee. Spinnaker’s bar and grill is located on the lower end of the beach and caters both local and international cuisine. In the evening, have a seat on the shore and just marvel at the copper orange sunset rays which paint Reduit beach as night is called in. Once separated by water is now jointed to the mainland by a drive accessible causeway, Pigeon Island has many unique qualities about it. 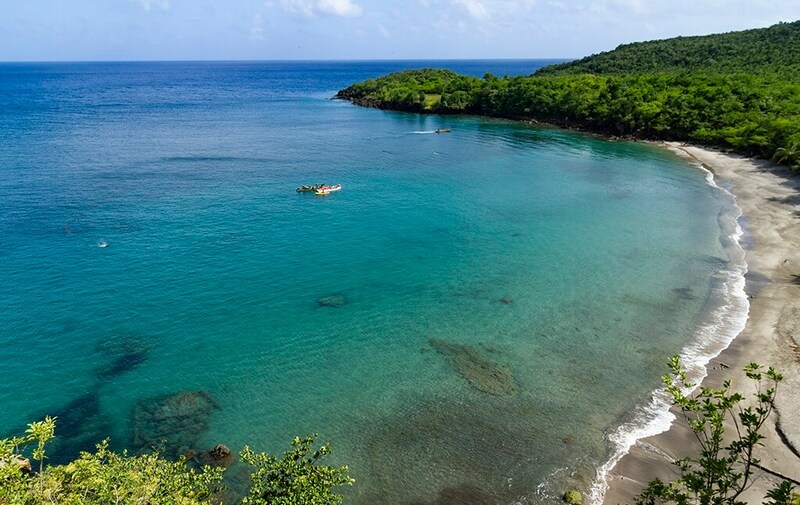 Firstly, Pigeon Island has both the Caribbean Sea and the Atlantic Ocean on either sides of the isle. 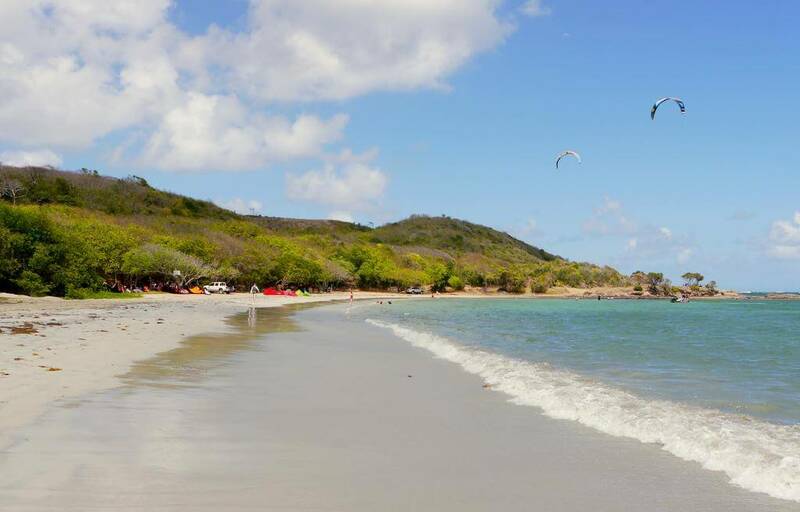 Part of the Caribbean Sea beaches could be found in the pigeon island’s historical landmark park with shower and restroom services. 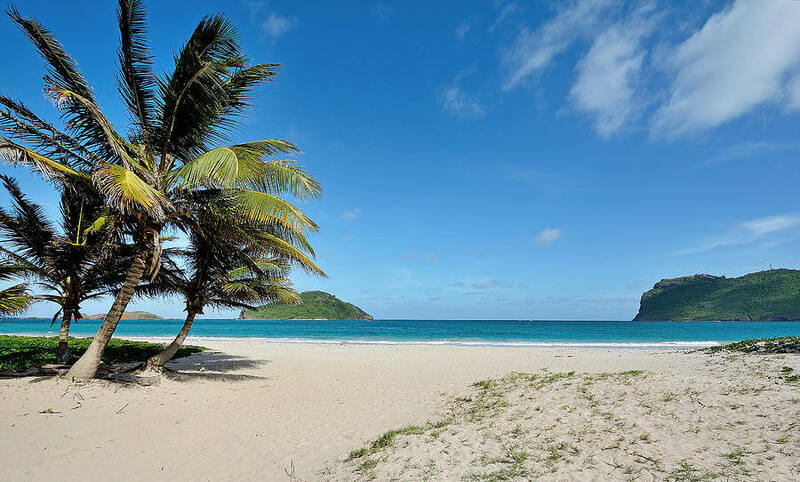 On a clear day, you are vividly able to see the neighboring French island of Martinique. The isle is also very scenic and makes a prefect canopy for photographers. 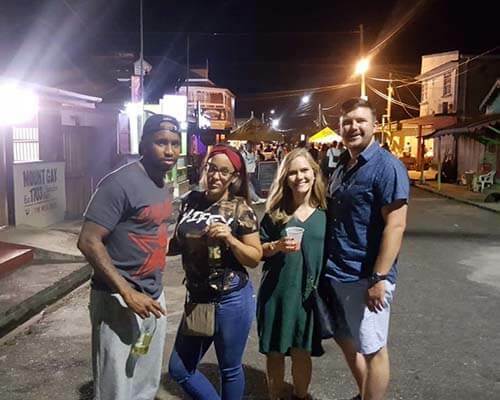 Every Sunday night Pigeon Point offers a ‘chill lime’, meaning a social night where locals and visitors go to the beach to socialize and have a few drinks. 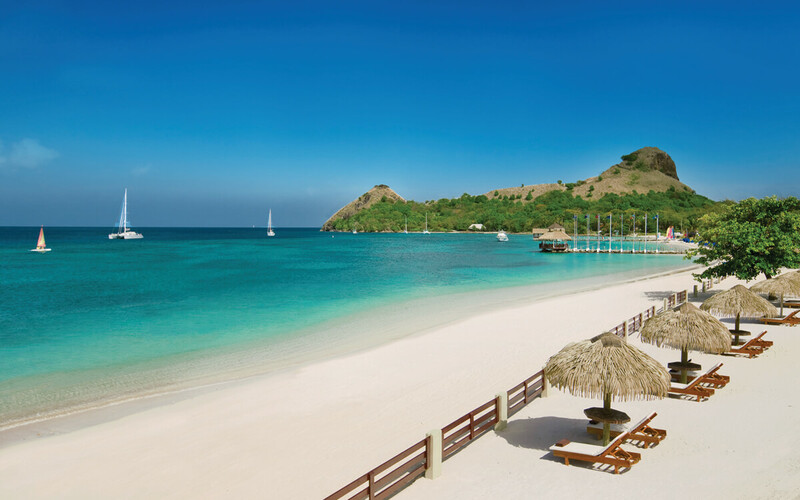 Sandals Grande hotel and The Landings are located on this beach. So you’ve done some island shopping in the boutique, had a delicate meal and now you’re ready to wind down. 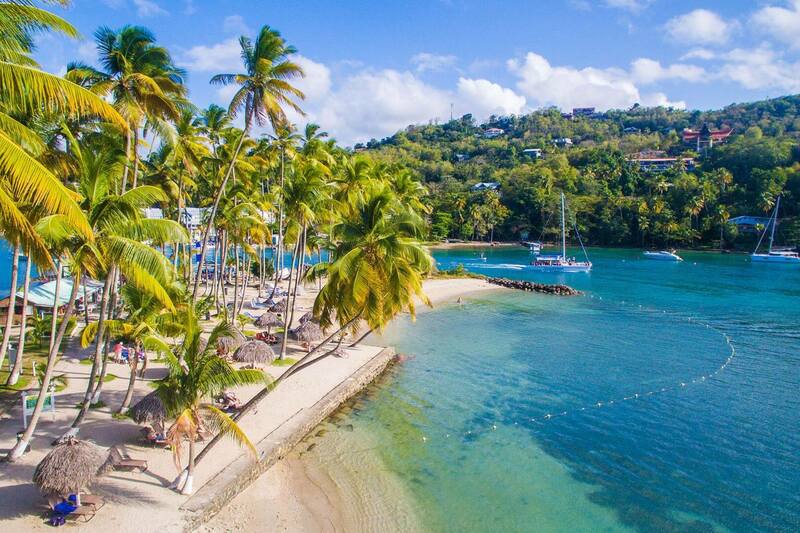 Why not take a ferry to Marigot’s Bay beach?! The luscious green sloop hills shelters this bay from hurricanes and most bad weather conditions. The beach is decked with many slender coconut trees that towers over the beach, providing shelter and a cooler environment. A marina is located in the Bay to dock private yachts and other boats. Marigot Bay can has been the background in many movies so you might just recognize this area. Beach chairs and huts are provided on this beach. Also known as the black sand beach or Ti kaye (little hut) Beach. At first glance, natural grey black sand covers the perimeter of this beach. 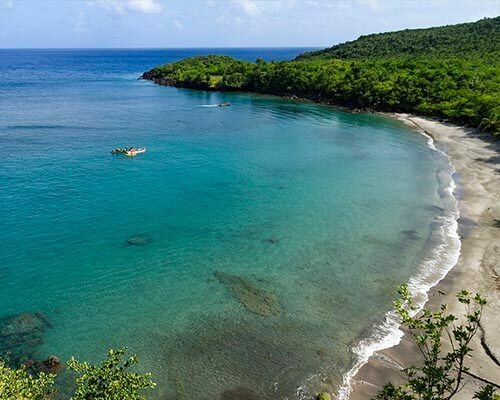 This beach highly renowned as a snorkeling haven! Various marine life and coral reefs can be seem while snorkeling on this beach. 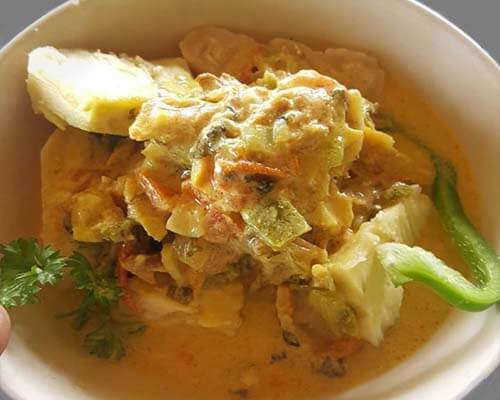 Beach bites can be grabbed at the Ti kaye resort. 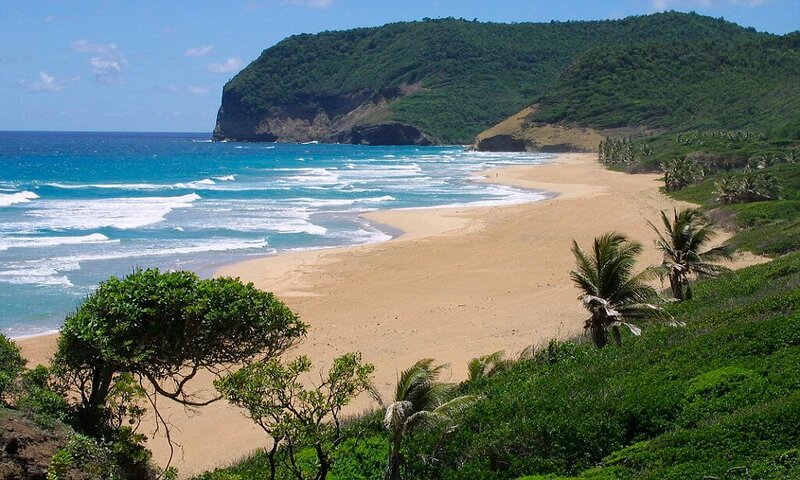 This Atlantic Beach is located in the south and is primarily popular for wind surfing and water sports. An array of restaurants and bars are located along the beach. From Sandy Beach’s shores Maria Island and Moule la chique peninsula can be seen in the near distance. 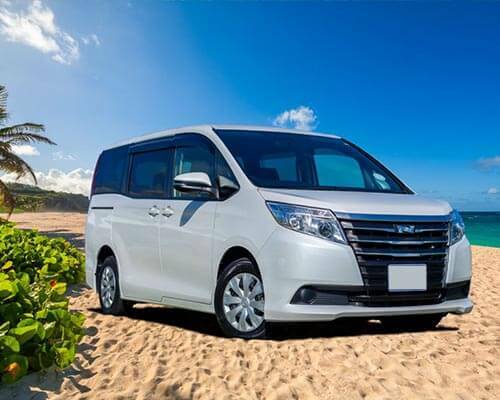 The beach is also walking distance from the Hewanorra International airport. Although people test their luck and bath on this beach, due diligency must be taken.